We select fresh-baked cookies from our local bakery. These happen to be spring cookies (Easter), and chocolate chip cookies, too. We added 2 different types of brownies and 4 different types of muffins for good measure. 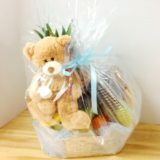 Custom designed Love Those Cookies and other gift baskets are our specialty! 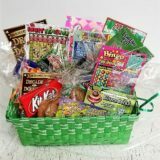 Kendra said, “I tried one of those 1800numbers and they wouldn’t send cookies and brownies like I want, so I typed “cookies Phoenix AZ and I found you on Bing”! 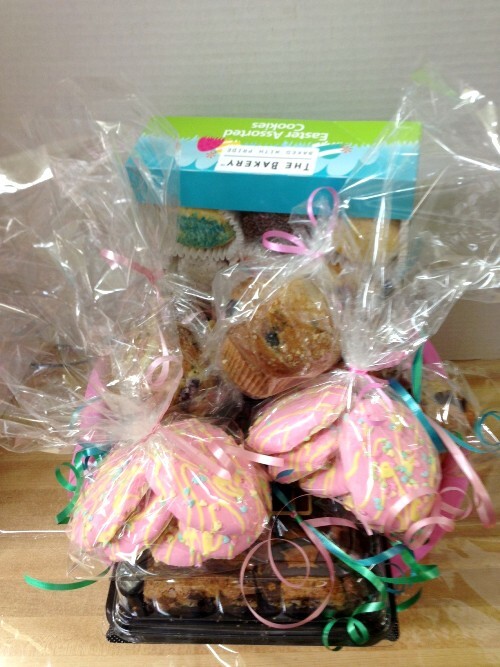 Well, here we are, the cookies and brownies for Kendra, and for YOU, too! We select fresh-baked cookies from our local bakery. These happen to be spring cookies (Easter), and chocolate chip cookies, too. We added brownies and 4 muffins for good measure. 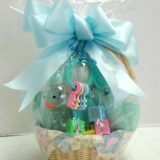 Each gift basket is filled to value so no one is every disappointed. 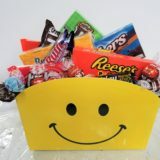 We make sure each one is fresh, colorful and as much fun to look at as it is to eat! 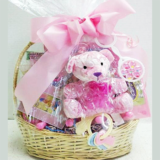 Each gift basket has a hand-made bow in a matching color. 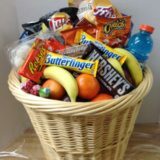 Here’s a picture of the gift basket before it was wrapped. You can see the cookies and muffins (the brownies are hidden underneath). 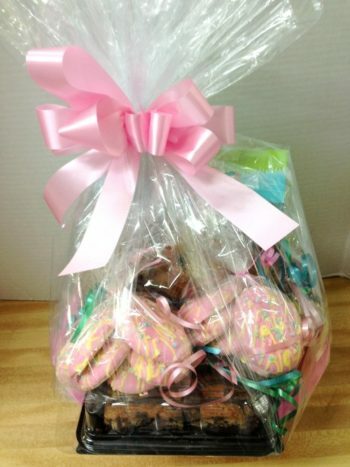 Let us design and deliver a tasty, fun cookies and brownies gift basket for you! 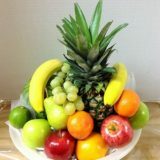 You might prefer Delicious Fruit and Flowers or Fruit Cookies and Flowers.